Is there anything better then a good old fashioned homemade pumpkin pie for dessert on Thanksgiving!? Personally, I’m a sucker for apple pie and actually never had pumpkin pie as a child. My wife on the other hand grew up with pumpkin pie, and is one of her favorite Fall desserts. This year I was tasked with baking pumpkin pie for a big family dinner, so the pressure was on! Having never baked a pumpkin pie before, I had to do a little research, so I dug out the cookbooks and got to work. Tips For Making The Best Pumpkin Pie Ever! I was actually surprised at how easy baking pumpkin pie from scratch really was. There where just a few tips and trick I picked up along the way, that will make the process that much easier for anyone else making this recipe. The end result is this incredibly silky smooth pumpkin pie, which everyone (including my two year old daughter) gobbled up without complaint. Do I Need To Blind Bake The Crust For Pumpkin Pie? As always, I recommend making everything from scratch, including the pie dough. If you plan ahead and make the pie dough the night before, everything is ready to go the day you plan to bake! Making your own pie dough really only takes about 10 minutes! Should You Use Pumpkin Puree or Pumpkin Pie Filling? Hands down, go for the pumpkin puree. Sometimes there seems to be some confusion whether to use the puree, or the filling in a recipe. The pumpkin pie filling needs no extra ingredients and is a ready to go filling that is added right to a blind baked pie crust. Trust me though when I say that making your own pumpkin pie filling with puree pumpkin simply tastes better. If your making this recipe, use pumpkin puree. 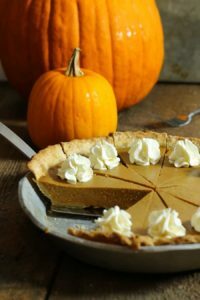 You can even make your own pumpkin puree if you want to make this pie as ‘from scratch’ as possible! 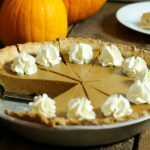 Can I Make Pumpkin Pie Without Sweetened Condensed Milk? 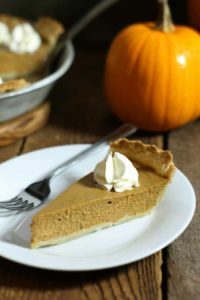 You can, and I would recommend using this dairy free pumpkin pie recipe instead. You’ll notice the method stays the same, but the ingredients are just slightly different. Absolutely not! 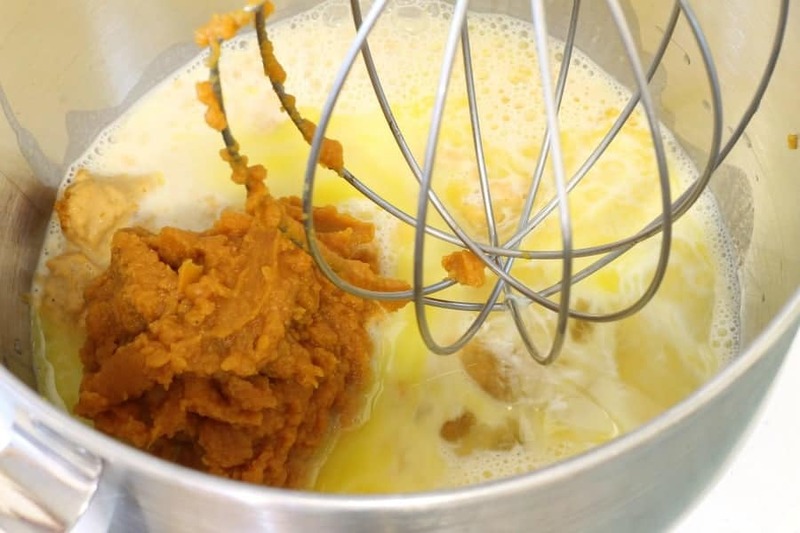 While using a stand mixer to mix the pumpkin pie filling definitely makes things easier, you can just as easily mix the filling in a regular mixing bowl with a whisk. The same can be said for the pie crust. 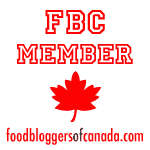 Many recipes call for the use of a food processor to blitz the ingredients together. My pie dough recipe does it the old fashioned way though. All by hand, and its even done in under 10 minutes! Is there anything else to know before starting? While the recipe is fairly easy to make, there are a few things you can do to stream line the process. If making your own pie dough from scratch, I highly recommend making it the night before. Giving the pie dough a chance to rest and chill will result in a flakier crust and prevent the crust from shrinking while blind baking. Take the time to properly blind bake the crust. 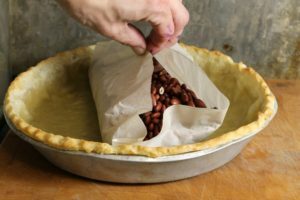 If you made the pie dough the night before, it’s no problem at all to pullll out the crust and blind bake it for 30 minutes while you prepare the filling. Multitask! As the crust blind bakes, make your pumpkin pie filling with the recipe below and then assemble and bake the pie once the crust is ready to go. 1 9″ unbaked pie crust. You can make your own pie crust with these instructions, or purchase one at the store. Either way the crust will need to be blind baked before filling. Start by pre-heating your oven to 375F. 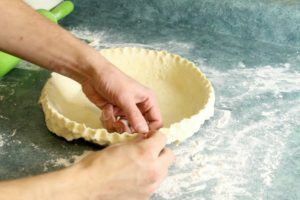 You’ll need to blind bake the pie crust first, so roll out the dough on a floured surface and then transfer the pie dough to a greased 9″ pie pan. Gently press the dough into the corners of the pan, and then crimp the edge with your fingers or a fork. 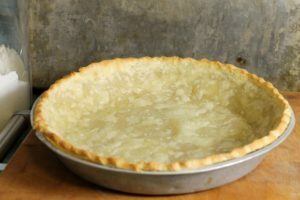 Once the oven is pre-heated, blind bake the pie crust until the crust is just starting to turn golden brown at the edges. As the pie crust blind bakes, mix the pumpkin pie filling. 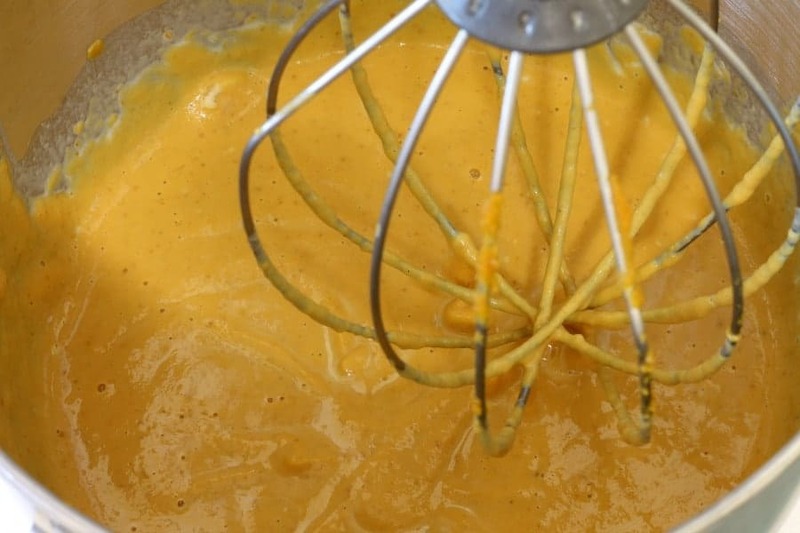 In a large bowl or stand mixer, lightly whisk the eggs until they are light and foamy. Add the pumpkin puree and sweetened condensed milk to the eggs and mix until fully combined. 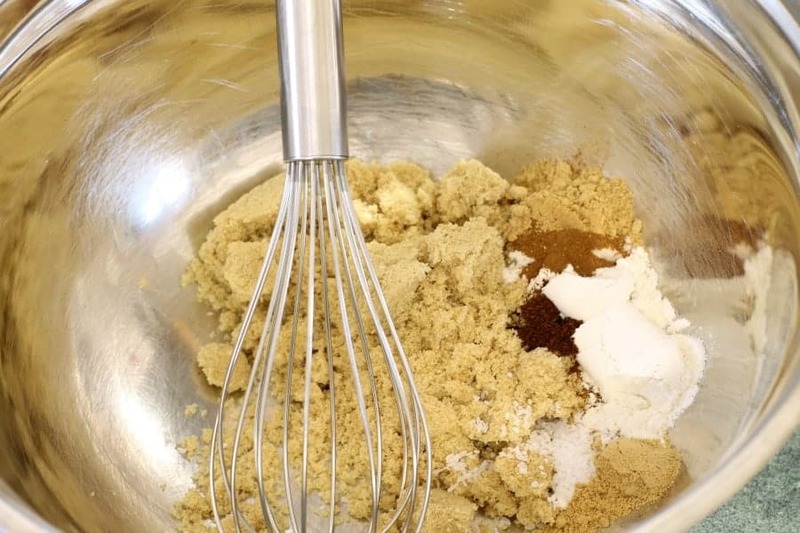 In a separate bowl mix together the, brown sugar, flour, and spices. 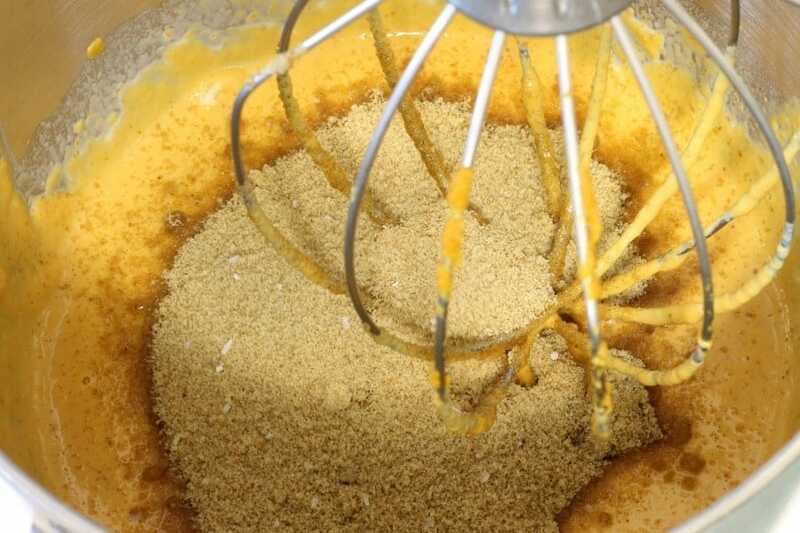 Mix the dry ingredients into the wet pumpkin mixture and beat with a which until no lumps remain. 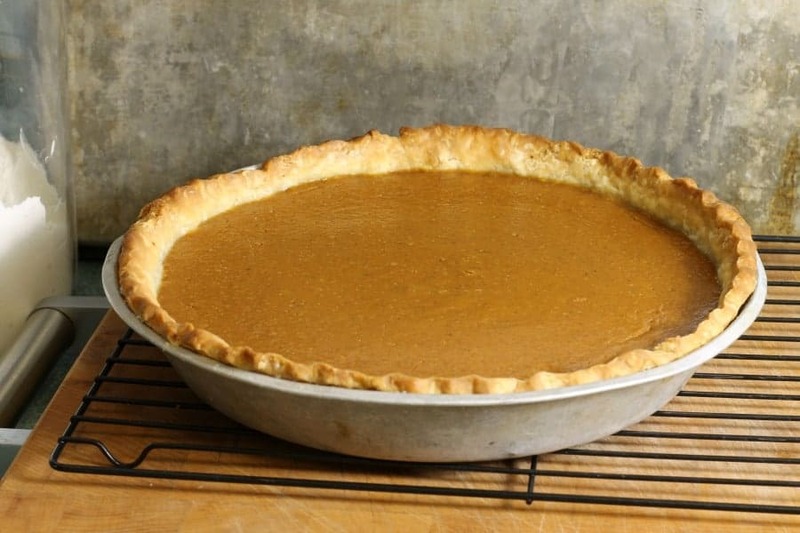 Once the pumpkin pie crust has finished blind baking, remove it from the oven, and remove the pie weights. Turn up the oven to 400F. Pour the pumpkin pie filling into the blind baked pie crust, and return the pumpkin pie to the oven. Ideally bake the pie on a middle oven rack. Bake the pumpkin pie for 40- 50 minutes. The center of the pumpkin pie should still be slightly jiggly, but not liquid. Remove the homemade pumpkin pie from the oven, and let it cool completely on a wire rack for about 2 hours. Refrigerate the pumpkin pie once it has cooled to the touch for a minimum of one hour and then slice it into even pieces. Garnish the pie with some freshly whip cream and serve! Step-by-step instructions make this homemade pumpkin pie surprisingly easy to bake for even the most novice baker. A true holiday favorite. Keyword do I need to blind bake pie crust for pumpkin pie?, how do you make pumpkin pie from scratch?, how do you make the best pumpkin pie? 2 cups pumpkin puree not pumpkin pie filling! Start by pre-heating your oven to 375F. You'll need to blind bake the pie crust first. 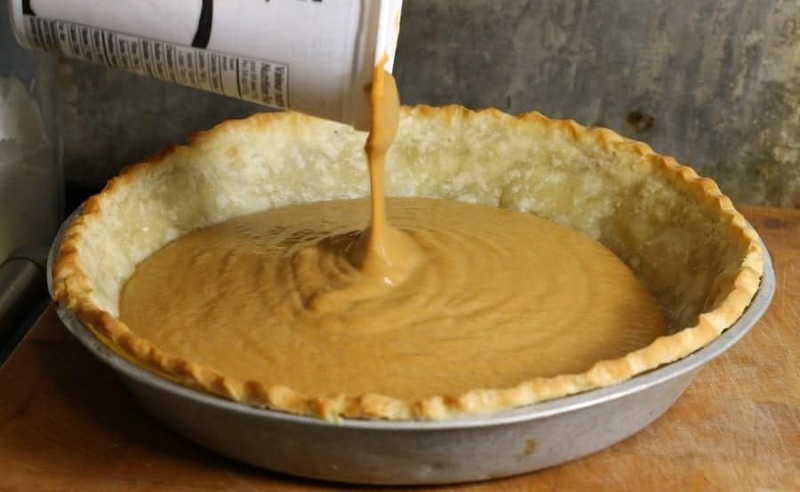 Roll out the dough on a floured surface and transfer the pie dough to a greased 9" pie pan. Pour the pumpkin pie filling into the blind baked pie crust, and return the pumpkin pie to the oven. Bake the pie on a middle oven rack. Bake the pumpkin pie for 40- 50 minutes. The center of the pumpkin pie should still be slightly jiggly, but not liquid when done. Remove the homemade pumpkin pie from the oven, and let it cool completely on a wire rack for about 2 hours. Refrigerate the pumpkin pie, (once it has cooled to the touch) for a minimum of one hour and then slice it into even pieces.